On Tuesday night, the Polish striker scored a brace against Benfica taking his Champions League goal tally to 51 goals. 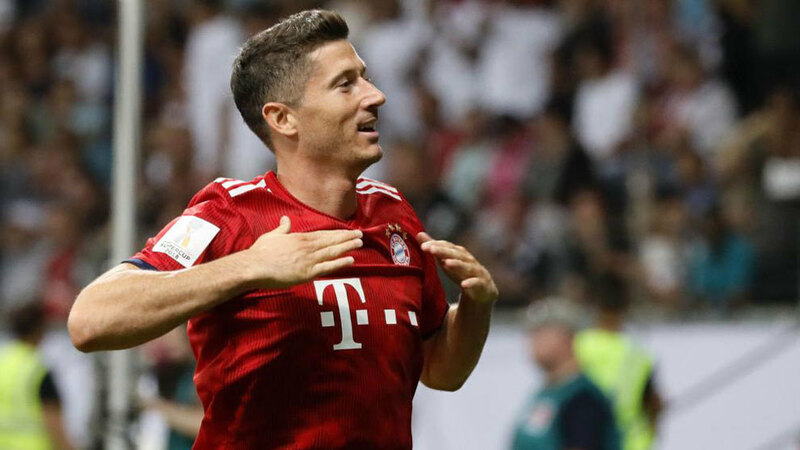 Lewandowski seventh player to reach this achievement. He also became the third fastest player to score 50 UCL goals. Only Lionel Messi and Ruud Van Nistelrooy took a shorter time to reach the landmark. However, the Bayern forward outpaced legends such as Thierry Henry taking 35 fewer games to reach 50 goals. Brazilian winger Taison scored a brace against German side Hoffenheim that gifted his team to a tight 3-2 win. Additionally, Taison’s brace led to the 80th goal scored by a Brazilian player for Shakhtar Donetsk in the UCL. Not really a surprise as the Ukranian club has been known to have a large percentage of Brazilians in their team. Therefore this was inevitable in a sense. Only Barcelona has more with 83 UCL goals scored by Brazilians. Against Lyon, we saw Maxwell Cornet braced being canceled out by Laporte and a header from Aguero deep in the second half. This is now the sixth consecutive away UCL game in which Aguero has now scored in. The Argentine becomes the first player in UCL history to accomplish this while playing for an English club. Against Benfica, the Dutch legend added 2 goals to his UCL tally taking it to 30 goals. Robben is now leveled with legends such as Kaka, Rooney and Samuel Eto. The 34-year-old winger became the 21st player to reach this tally and it’s more than likely that he will add more.